Wellness. It’s word that encompasses a lot. You could ask 20 different people what wellness means to them, and they will all have a different answer. And they would all be right. Wellness is personal. It doesn’t have one, universal meaning. 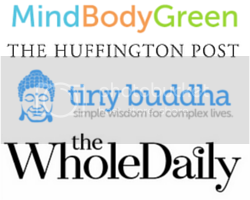 However, whenever I read about wellness (and health, which is certainly tied into wellness) most articles are about losing weight or having a particular body shape. So called wellness articles, particularly in mainstream media, are about how many calories to eat, what foods you should stop eating, and how to drop a dress size in a week. To me, weight and the amount of food I choose to eat doesn’t define wellness. What does wellness mean to me? It means being happy and comfortable in my own body. It means setting aside time for self love and self care practices. Finding ways to deal with my stress, so that I don’t either bottle it all in or take it out on my boyfriend. It means eating when I’m hungry, rather than to stuff down by emotions or to relieve boredom. It means mindfully eating foods that my body is hungry for. Sometimes that means chocolate and sometimes that means broccoli. To me, wellness isn’t about eating a set number of calories. While I no longer count calories, I know that the amount I eat changes daily. My hunger changes depending on how active I am, where in my cycle I am, and a endless list of other reasons. Wellness means that this is ok – I don’t try to fight the hunger messages my body sends me. It means moving my body because it helps me to feel good, both mentally and physically. I no longer spend hours in the gym to burn off my last meal. It means only doing exercise I love. No more pilates or repetitive spin classes. And lots of yoga and beachside walks. It means going out for dinner and enjoying the food and the company. Rather than try to find the lowest calorie dinner option and then monitoring how much I eat throughout the whole meal. It means being present in my relationships. It means being able to open myself up to intimacy and to turned on conversations. It means making time to do things I love. Reading. Writing. Spending time by the ocean. Watching the sun set. I know what wellness means to me. And I do my best to live it. Each and every day. I’m certainly not perfect and there are days where I honestly don’t feel like doing much of anything. We all have these days – where we don’t know how to deal with the stresses in our life, where we have so much going on that sitting down to a healthy meal seems out of the question, where we accidentally drink too much, or where we spend all day in our PJs watching trashy TV. In my definition of wellness those days are ok. I know that my mood while shift in a few days time (and usually after a good sleep) and then my wellness practice won’t seem so hard. So, what does wellness mean to you? If you’re not sure, spend some time thinking about what makes you feel good. And then do more of that. What feelings and experiences do you want to have in your life? Once you know how you want to feel you can act and think in ways that will bring those feelings into your life. Your definition of wellness doesn’t need to be the same as mine. If you live in a way that lights you up, that makes you feel good – that’s your wellness. I’d love to hear what wellness means to you. What do you do so that you feel well and vibrant? Let me know in the comments below. « Why I Don’t Label The Way I Eat	» Are You Fully Engaging With Life? I think it’s so important to create your own definitions for things like wellness, instead of following what we think it ‘should’ mean so I love this post, Erin. To me, wellness is physical and mental. Making sure you’re taking care of yourself on every level and asking, what do I need right now.